Directed by Barry Sonnenfeld; produced by Lisa Ellzey. 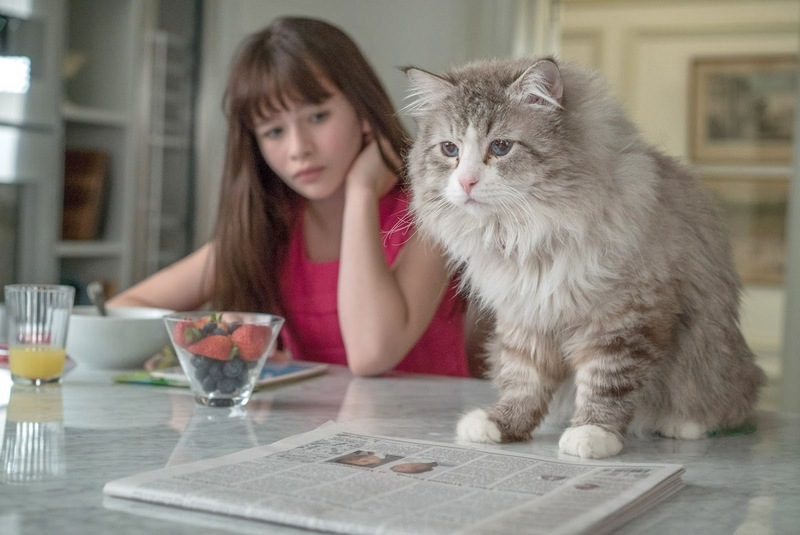 A hard-driving millionaire businessman (Kevin Spacey) with an obsession with raising the country’s tallest building buys a cat for his daughter. 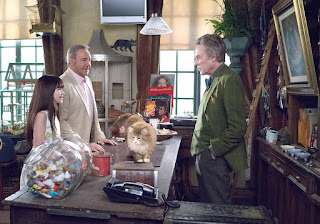 In so doing, he draws the attention of the cat-shop owner (Christopher Walken) to his less than generous personality. Walken decides to do something about it, and arranges for Spacey’s soul to inhabit the cat’s body until he learns more about human decency. I wanted to like this movie. Spacey is an excellent actor, whom I’ve admired since I saw him in an episode of The Equalizer in the 1980s. Walken can always be counted on for an interesting performance. And it’s about a cat. What could go wrong with a film like this? Everything. Despite the star-power, this is a lacklustre movie that plays like a less successful Disney film from the 1970s. Why Spacey agreed to do this, I don’t know. Perhaps he had just bought a new house. Perhaps his girlfriend’s children like cats. He certainly didn’t put anything extraordinary into his performance. It was good, as they usually are, but no more than that. The same may be said for Walken’s role. The story is unremarkable. Walken’s decision to put Spacey in a cat’s body seems arbitrary. How he does it is never explained. 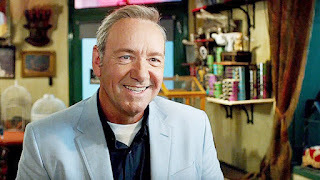 There is no sense that Spacey learns anything profound as a cat, no sense that the change he inevitably undergoes (sorry if I spoiled the ending for you) is real, and no progression shown toward that alteration. We see him re-connect with his daughter, but don’t see any point at which this is accomplished. There is a sub-plot (or perhaps it’s the main plot) of a rival trying to take over Spacey’s company while the latter is in a coma (his body, left without an occupant, goes into a deep sleep), Spacey’s son attempting to head off this catastrophe. That was actually the most involving bit of the story. The worst of Nine Lives from a cat-owner’s perspective is that the writer either knows or cares little about cats. The cat brought home by Spacey for his daughter is not neutered (there is a joke made later about this status), which means that the character played by Walken (allegedly a cat-fancier in real life) had numerous unfixed cats roaming about, inside and out. Despite the Spacey family home being an immense, multi-storey apartment, his wife (Jennifer Garner) decides to put the litter-box in the kitchen - and next to the cat’s food and water. No mention is made of cat behaviour or habits. The animal in this film could have been a budgie, a gerbil or a dog (shades (no pun intended) of Chevy Chase and Benji in Oh Heavenly Dog, another disaster of a movie), for all the point of it being a cat. It would have been nice if the opportunity had been taken to give a little information about cats along the way, in a humorous and relevant fashion. And finally, it would have been a pleasantry to have had the title mean something to the story. This mess had, perhaps symptomatically, eleven people labelled as some sort of producer (executive, line, assistant, etc.) and five writers. 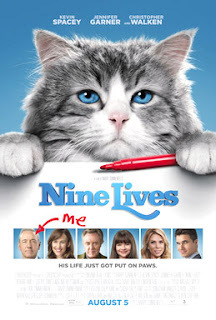 But, whether for a Spacey fan, a Walken aficionado, or a cat-lover, Nine Lives is a - I have to write it - a CATastrophe. There have been any number of movies centering around cats, but have any of them been genuinely good? I can't think of any offhand. You'd think that'd be a genre just made for the Internet Era. I think the only good movie that involved a cat to any extent was "The Incredible Journey" (the original), and in that, the cat shared the limelight with two dogs. I think non-cat people still don't view cats as being as involved with humans as dogs, so cats are used for humour - usually not at their expense, but at a person's, though the cat is often the catalyst. He becomes more of a plot device than a character.